For that bright, happy daytime mood! We don’t know why, but these are everywhere. No complaints though, they look pretty cute! You can also ditch the rickshaw and go for some florally decorated cycles as well. No Indian wedding is complete without some marigold décor! In today’s day and age, a photobooth is a must! Try out some cool, different backdrops. 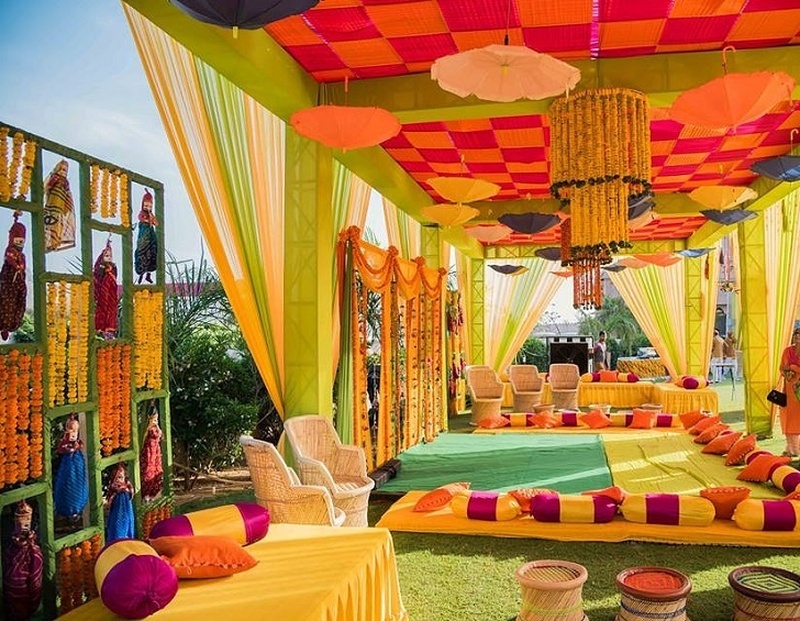 Ditch the tables-and-chairs and try out some colourful mattresses or gadde for floor-seating at your outdoor mehndi! Hang a bunch of bright umbrellas overhead. They are super pretty and can also be functional!